I just got back from Jakarta to celebrate Eid mubarak with my big family for a week. So happy finally I met my cousins again and yes we shop together, buy some clothes and enjoy our holiday in Jakarta. It was fun and now back to my daily activities. 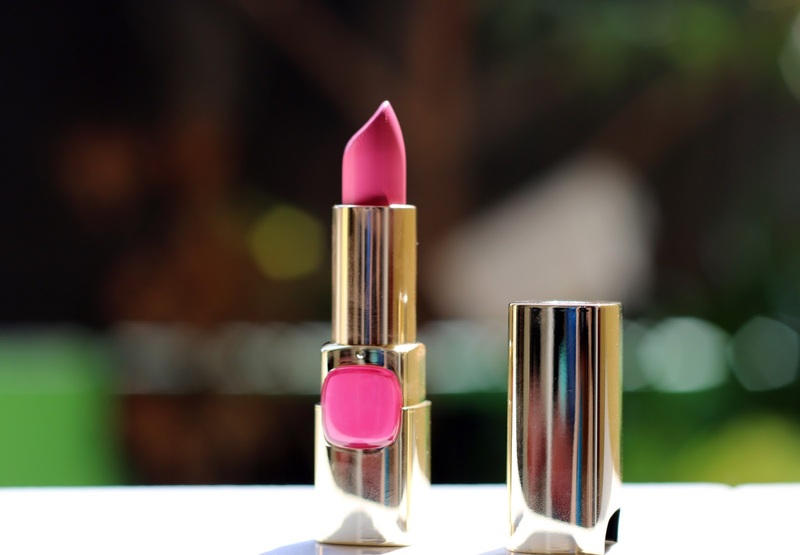 And since International Kissing Day is in the month of July and I never make a review about a make up, especially lipstick, of course this is my first time I make a review about lipstick. and I'm so excited about it. Usually my post is always about my daily outfit, but I never mention about my favorite make up here. I use a lot of products for my makeup, for a daily, I always use bb cream with a concealer, and lip tint for my lips so my face didn't look so pale. My favorite lipstick shade usually is red, I'm a big fan of red, you can see it on all my previous post. 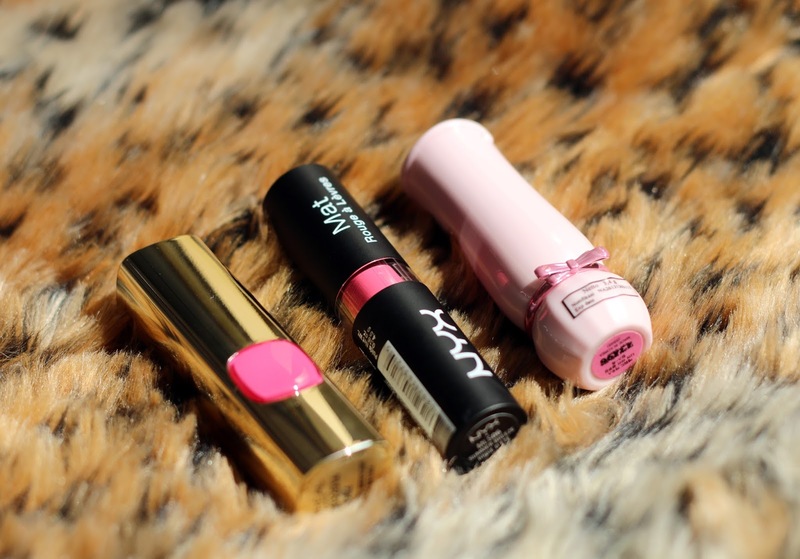 But, for my daily I use so much pink lipstick. Yesterday I got three lipsticks from Luxola, It's from NYX, Etude House and L'oreal Paris with different types of pink shades. So excited about it since the theme is Girl Next Door Pink. Let's talk about it one by one. The packaging looks so luxury with a gold color. I don't know why but gold always make things look fancy. Probably because it's gold, lol. This my first time I use a lipstick from L'oreal Paris. 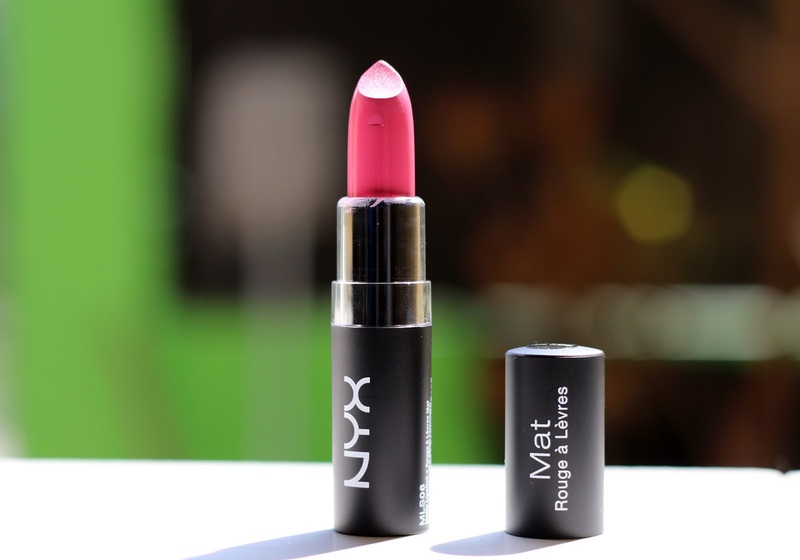 Turns out it's good, it's a pink shade with a sheer finish. The color looks pretty much same with NYX Summer breeze but still different cause the shade looks so natural and it's so soft on my lips. Once again, if you have a dry lips, you should try this lipstick, it very moisturizing with vitamin E for offering hydrating properties. What's on my mind when I wear this lipstick is, oh I kinda love it since I have to fasting for a month and now my lips are very dry. Dry lips always makes me feel so bad especially when I try to use matte lipstick, but this lipsticks help me a lot. L'oreal Paris did a great job for my dry lips. How about long lasting? It long lasting but not too long for me if I have to eat and drink, cause I need to retouch it. The price is around $10 or Rp. 129.000,- It's still available and click here if you want to buy it. What makes Etude House always special I think it's all about the packaging, and look at the lipstick, with a heart-shape crown on the lipstick and the shade is so bright. When I apply on my lips, it's totally matte, so pigmented, and lost lasting, even when I eat, the lipstick still looks great (Okay I think it depends what you eat, if you eat carefully, of course it does not ruin your lipstick, lol) So far it's my favorite shade 'cause it looks so bright on my lips, I think it's great for a photoshoot since the color looks so real, really pop and chic. Perfect for summer especially when you spend your holiday on the beach. 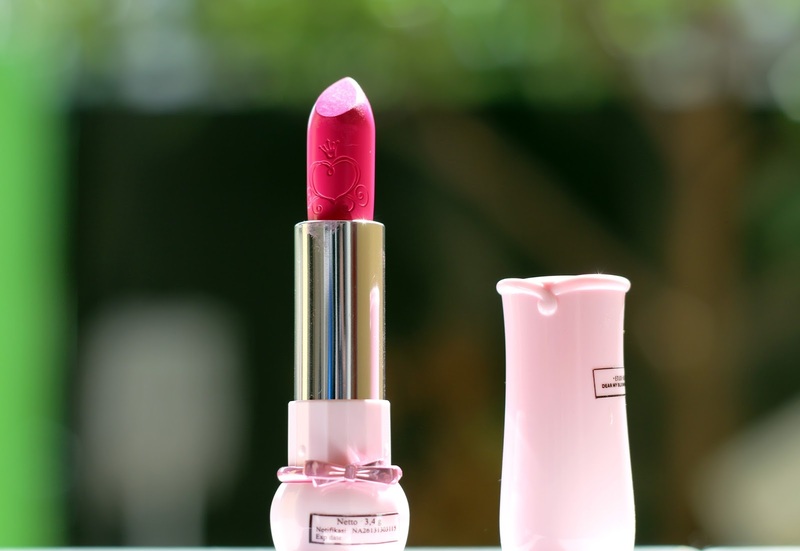 And oh, don't forget to use a lip balm first if you use matte lipstick, cause it will make your lips slightly dry. I can't decide which one my favorite lipstick, these lipstick looks great on me but If I had to choose, Etude House Dear My Blooming Lips win my heart, cause it's matte, long lasting, and so pigmented, oh don't forget about the cute packaging of the lipstick. And, always use a lip balm first! 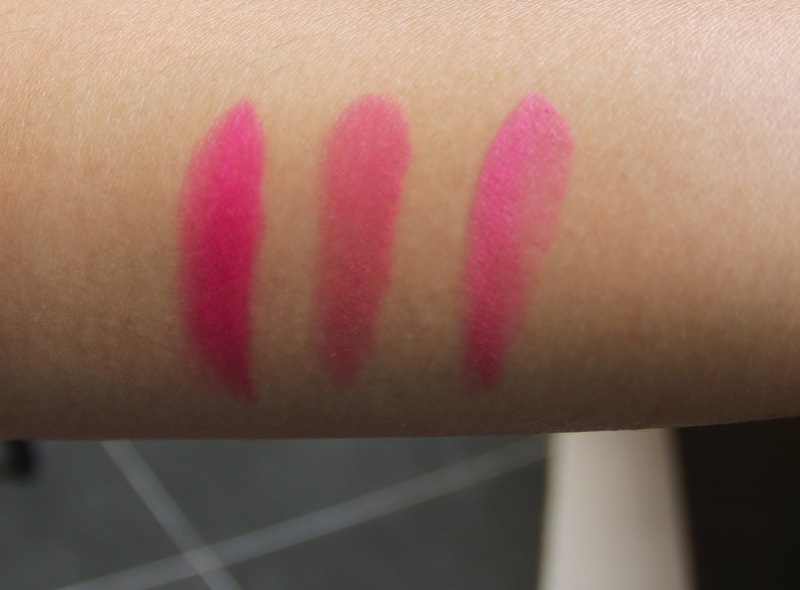 I hope this review help you a lot if you want but pink lipstick but still wonder which one would you buy. So which one your favorite? The first one looks so pretty! Well, actually they all do...but that first one is my favorite. I love the packaging too. And yes, the gold really does make it look lux. The etude house lipsticks are my favorite! I was just recently in korea and bought a bunch of etude house lipsticks. I also just posted a etude house, the face shop and banilia co lipstick swatch video on my channel. Haha never get enough of lipstick right? :p wow will check the video soon on your youtube channel! Cool shades, I love them all!!! 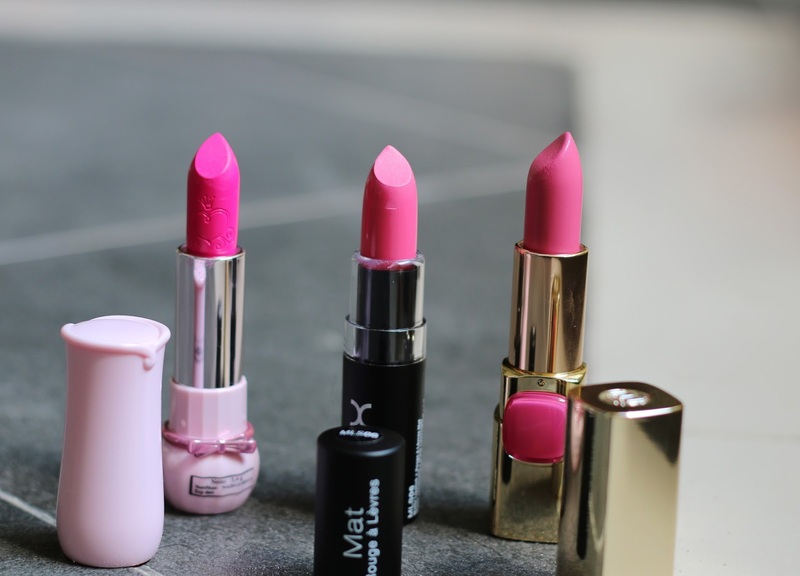 Love these shades of pink! Love the all shades of pink! Great photos! hi beautiful, I have no idea that there was a kissing day in july!! Thanks for the info. I love those shades, specially the first one, looks so good on you. Wow these colors are so vibrant! Love them!